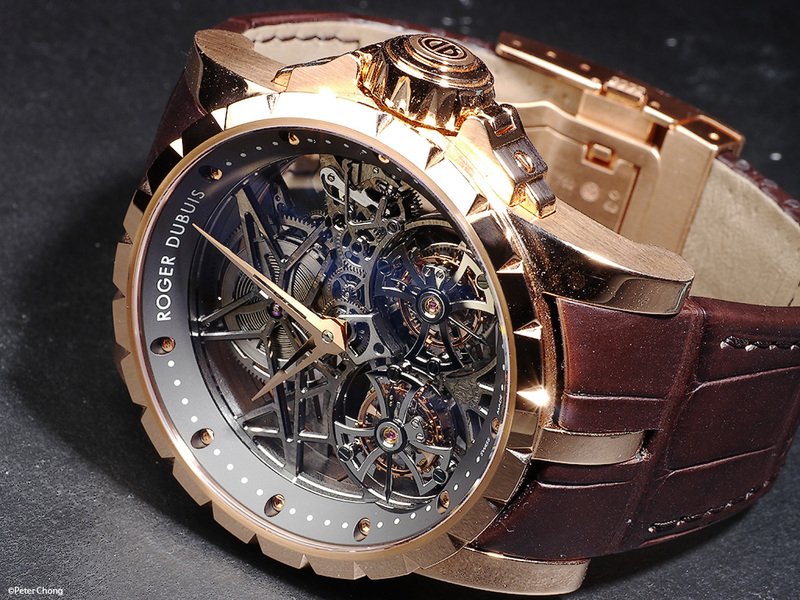 Roger Dubuis Excalibur Skeleton Double Tourbillon. Interesting watch. I was commissioned to photograph this watch for Revolution Magazine. The final approved photographs appeared in Revolution Asia 28. The electronic version is available for free download of Revolution magazine issue 28 here. 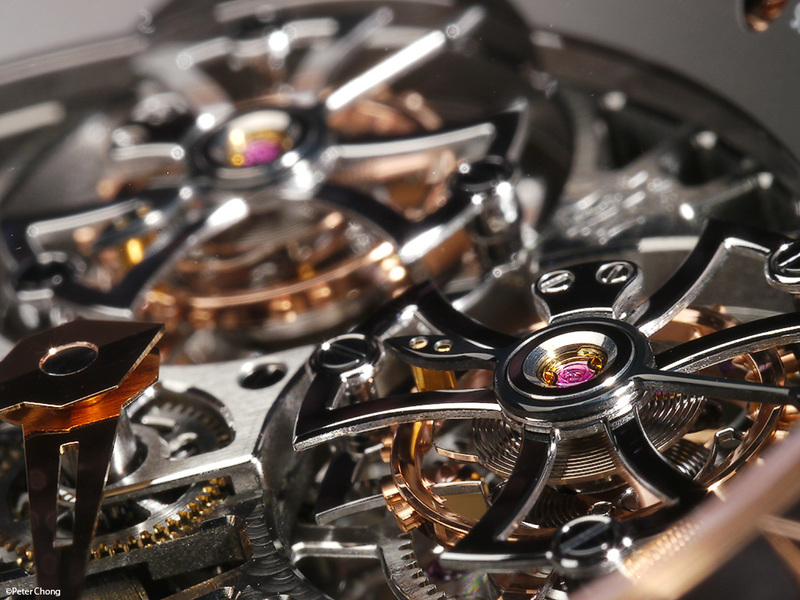 I photographed the watch with my trusty Hasselblad H3D-39 with the HC 4/120 macro. But I also brought the little GH-2 with the Panasonic-Leica 45mm f/2.8 lens. This is a dimunitive fellow, compared to the Hasselblad...but I fitted the Profoto Air Sync onto it, and started shooting with 2 Profoto D1 lights, one fitted with a 2x3 softbox, and the other with just a reflector. The results, I must say, I am reasonably pleased. The Panasonic MFT system can deliver fairly good quality. I might not use it for print assignments...um, maybe small prints are ok. Actually I will have another 6 page spread in a Swiss magazine which will feature a stacked image made with the GH2 appearing as a double page spread. But in general, I will reserve the Hasselblad for the larger prints...but for the web, they are not bad. Not bad at all. Here is a selection from the shoot. These are out-takes, and not part of the commission. Note, the dust on the watch...this is a customer watch, owned and worn...not a prestine manufacturer photo example. 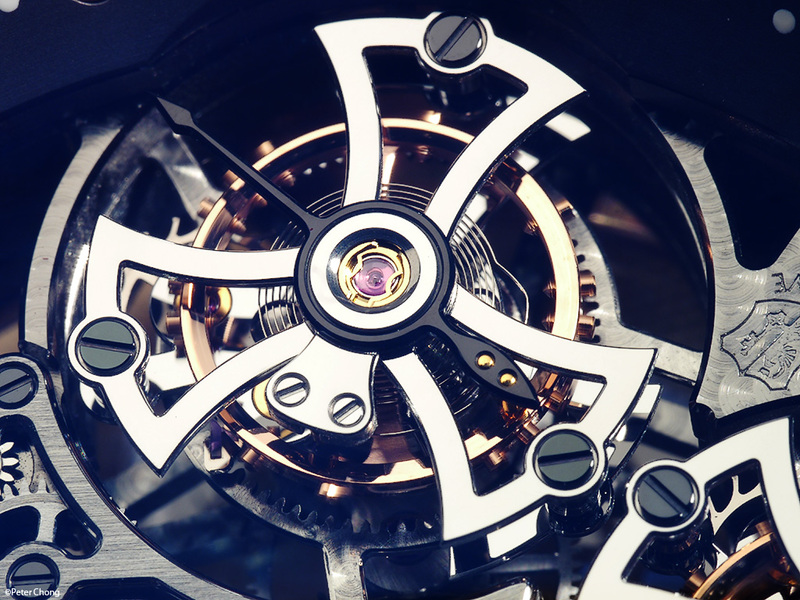 Typically for a magazine shoot, the watch is cleaned with microfibre cloth and blue tack, and whatever dust that is still left on the watch will be touched out by the DI artist. For this commission, the art direction called for only watchcape styled movement shots, and it was not critical to clean up the case as it would not appear in the photograph. 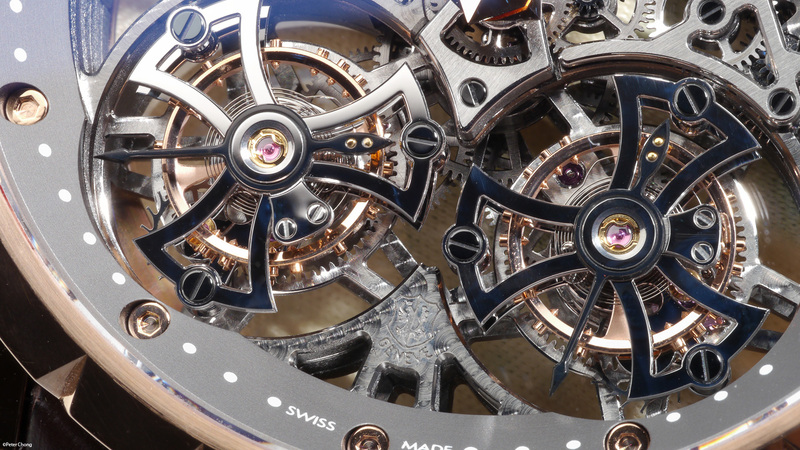 The double tourbillons...the earlier, non skeleton model has the tourbillons spinning in different directions...but this one, they were both going clockwise...a bit less interesting, but nonetheless mesmerising. Perhaps stretching a bit on artistic license, using a larger aperture to create shallow depth of field. I kind of like this image...do you? And a closeup look. 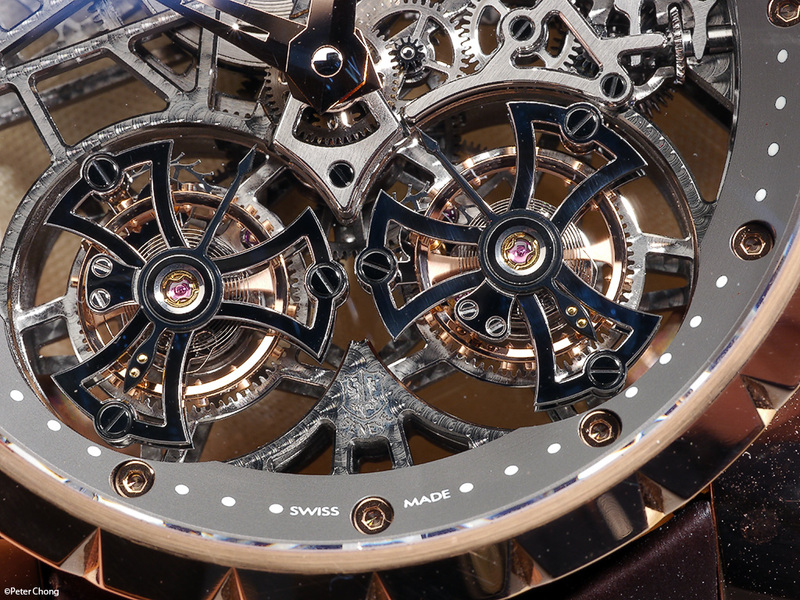 Uncropped image of a single tourbillon at 2X magnification, the highest possible with the PL45 on the MFT body. Note the tourbillon cage is black polished, and in this case, I had set up the soft box to be over the watch, causing the box to be reflected by the black polished steel to show the nice finish.